U.S. retailers are worried about keeping their shelves stocked after a major South Korean shipping company filed for bankruptcy protection. Hanjin Shipping, one of the world's biggest cargo movers, handled nearly 8% of transpacific trade for the U.S. market. Now that it has collapsed, retailers are warning of a crisis. The development "presents an enormous challenge ... [and] the prospect of harm is significant and apparent," according to a letter to the U.S. government from Sandra Kennedy, the president of the Retail Industry Leaders Association. The group is asking for help to make sure cargo keeps moving. Already, it says that "terminal operators, ports and other cargo handlers are refusing to release cargo without assurances that payments will be made." The worst case scenario for retailers would be empty shelves during the upcoming holiday shopping season. The association's letter urges the U.S. Department of Commerce and the Federal Maritime Commission to work with ports, cargo handlers, and the South Korean government to "resolve the immediate disruption and mitigate the harms posed." Hanjin, which succumbed earlier this week to a crippling combination of lackluster global trade, a glut of container ships and brutal competition from rivals, is among many shipping giants that have struggled since the financial crisis. It had been working on a restructuring program in recent months to try to shore up its battered finances. But its plans failed to satisfy its creditors, who decided Tuesday to turn off the money tap. Some Hanjin vessels have already been detained or turned away from ports, the company said. Going into receivership, under which a court will decide the firm's fate, will add to the headache. "It is very likely that all our assets will be frozen in less than a week," a company spokesperson said Tuesday. 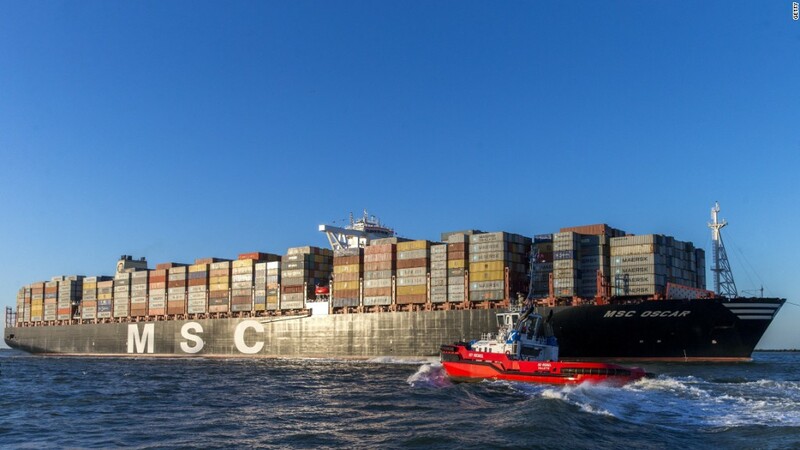 Around 90% of the world's goods are transported by sea, and when demand drops, shipping companies are among the first to notice. A big factor in the current crisis is an economic slowdown in China, which is the world's largest exporter. Another is overcapacity. The shipping industry started producing bigger and bigger vessels with the aim of increasing efficiency and boosting profits. But the strategy had the reverse effect, as the extra competition actually forced down prices. Some ships are even now hanging out in international ports, empty and waiting for cargo.